#reallife confession: These past two weeks have been challenging. Work has been steady, and I’m so grateful! But sometimes the everyday things are enough to tip the scales on the stress-o-meter. And my scale hath been tipped. Probably the thing that’s had the biggest impact is that Ruby is teething. And she’s real serious about it! She decided to get almost a mouthful of teeth in at the same time. So, yes, things are probably worse for her (poor thing!) than they are for me, but all I’m saying is that quiet is pretty important for a voice actor. And quiet isn’t a word I’d use to describe my house lately. Because Ruby is a lot more comfortable showing her emotions than most adults. Meaning, she cries. A lot. 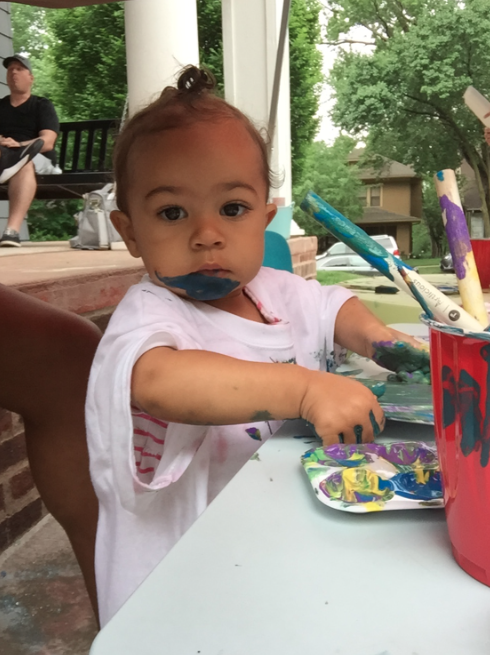 Ruby (not crying) creating a masterpiece at a friend’s birthday party. Another thing that’s important for–well, everybody–is sleep. And if you’ve ever had to deal with a teething toddler, you know that I’m not getting much of it right now. On top of that, my nanny (who happens to be my amazing mom) has had to take a few days off, which has thrown my schedule for a loop. So… it hasn’t been my best week for productivity. Productivity is something I’m really passionate about, and that I have to take really seriously since I make it a priority to spend time with my girls and my husband every day, and we try our darndest to go on a date, and have a family outing once a week. Then, of course, there’s the normal life stuff: meals, cleaning, Netflix… Just kidding about that last one. Maybe. I prefer to approach my days from a place of calm–meaning I am at my best when I have mapped out a set number of things to accomplish each day, have made a plan for when each thing is to get done, and can complete each task within the amount of time I allotted for it. This rarely happens perfectly, especially given the ASAP auditions and jobs that regularly come in. But it’s my goal. This week, I did not do this. In fact, I did the opposite of this. I woke up, still tired after having been up most of the night with a crying baby (or crying 4-year-old, depending on the night), and try to squeeze 30 minutes here, and 20 minutes there to get my work done. ‘Twas stressful. But that’s real life! You have to deal with the days as they come, stress and all. But I know that it’s difficult when you have goals that seem to keep getting pushed further and further back because you can’t control when babies teethe, when cars break down, when job lay-offs happen, etc. 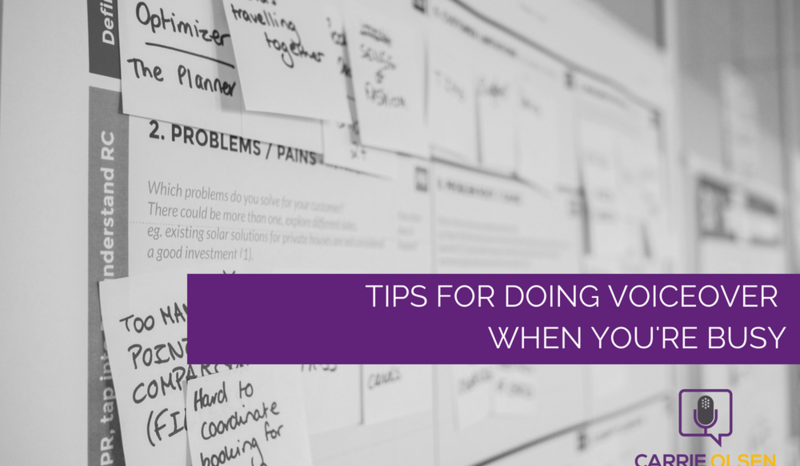 So when you’re working on your voiceover business, whether you’re full-time or just getting things off the ground, it’s easy to feel like you just don’t have the time to work on it. I wish there was a quick fix for this. Something that would magically add 4 hours to your day and make you refreshed, clear-headed, and energized so you could make tons of progress every day. But, as you know, it’s impossible to make time. So, what do we do? 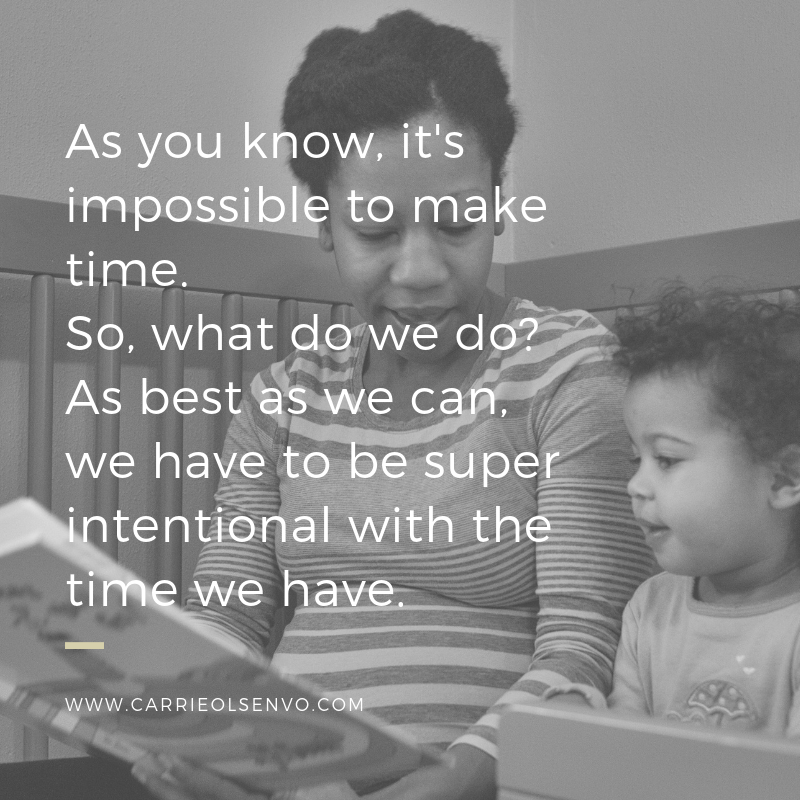 As best as we can, we have to be super intentional with the time we have. I’ll admit I’m a big nerd when it comes to–well, a lot of things. But suffice to say I geek out on spreadsheets, and I like to learn about productivity tools, methods, and philosophies. So, though I haven’t mastered productivity yet (and who’s to say if that’s even possible? ), I’ll be sharing some of my favorite tools, hacks, and strategies that help me keep my business running, while keeping my family as my main focus. Today, I’m sharing some Stealthy Study tips from my upcoming course, Get Traction in Voiceover (Even if You Have a Full-Time Job). I call these stealthy tips because you can use these to “practice” voiceover without setting aside a full hour of your day. Use these tips while you’re driving to work, exercising, or sitting at the office. Of course, building a business requires investment–both time and monetary–so you can’t build a successful business using only these tips. But they are a great way to squeeze in some practice when things get crazy busy (or when the baby is teething). Let me know in the comments any other tips you have for getting good voiceover practice in when you’re busy!